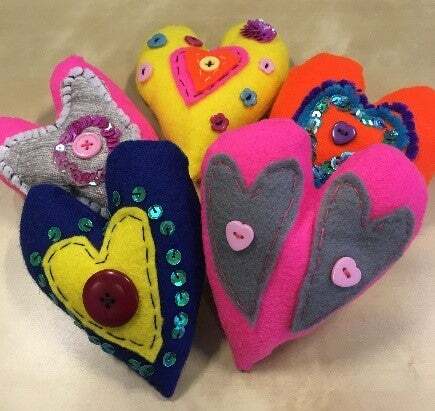 From sending out handmade felt hearts as thanks to her employees to building a team guided by strong company values, Claire Morley-Jones doesn’t just advise clients on the best HR practices – she lives and breathes great HR within her own business. 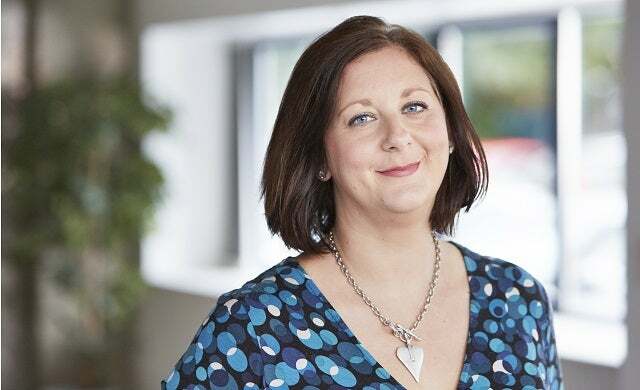 Having founded Leeds-based human resource outsourcing and consultancy company HR180 over 10 years ago, starting with three clients and £2,000 in the bank, Morley-Jones has scaled the business to achieve year-on-year growth and impressive retention rates. 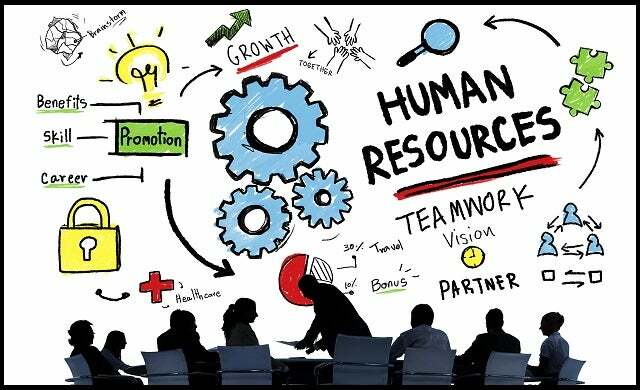 In fact, a third of HR180’s clients have been with the company for five years or more – evidence of the business’ ability to deliver results across support services such as training, management, mediation, and health and safety. Given her success and reputation in the HR field, Morley-Jones was perfectly aligned to become a Talent for the Plusnet Pioneers programme; a series of motivational events, workshops and advice to help start-ups and small business owners created by business broadband and phone provider Plusnet, in partnership with Startups.co.uk. As part of her role as a Talent Pioneer, Morley-Jones spoke at a panel discussion where she shared insider advice on how to avoid hiring mistakes and how to attract, and retain, talent. We got Morley-Jones on the phone for an exclusive interview to seize some essential HR advice for start-ups and small businesses. So, what are you waiting for? Read on for Morley-Jones’ ‘how to’ expert advice! “Start-ups and small businesses are [often] not clear enough about their own culture and who they are. “What you, as an employer, need to do is to make sure that people are aligned to your business straight away and that you know who you are as a business. [This should be reflected] in the job spec, advertising etc. If you have a standard job advert on a standard job site, you’re trying to find a standard person and if you don’t know what you stand for then that makes it more to find the right employee for your business. “We do a strength test [HR180’s in-house tool to help businesses increase efficiency] for our clients and it’s eye-opening because some businesses have great processes, set-up and lines of communication but, when it comes to vision – who you are, what employees should believe in – they have no idea. “We often find that employers are too fixed on absolute perfection, or they’re not clear on what they’re looking for. “For instance, one of our clients wanted to hire an office co-ordinator to manage stationery, and they also wanted this person be a PA to the directors, to help with accounts, and to have health and safety expertise. They were setting themselves up to fail on many fronts! “New business owners think they can get someone to take on lots of different roles – and in a small business everybody does need to roll up their sleeves and muck in – but you need to have specialist people for specialist roles. Take your time – Everyone thinks they need someone right now. It does take between eight to 12 weeks to make a hire, and sometimes longer with notice period. Be clear about who you’re looking for – Most HR professionals like me would advise that you should hire for attitude and train for skill. If the person has the right attitude and behaviour and you can train them [that would be great]. We train up all our HR advisors. Do they have commercial skills and entrepreneurialism and have they been able to demonstrate this? “You need to think about the building blocks of your team. We believe in the strength approach; that everyone has strengths and weaknesses and, if your weaknesses don’t impact the ability to do your job then, you can work around that. “You should show that you really care. This can often be achieved by simply understanding somebody. Make sure you have great relationships with staff; show them that you care as this will then motivate them and they can then invest more in the business. “You need to build the relationship. You often need to find out what that person wants from their career and you should do this as early as the interview stage. For retention, career path is important – you need to let the employee know how they can grow and progress. “Say the person is really ambitious and wants to be a manager within a year, they may be impressive but can you offer them a manager role in a year? I’m not saying don’t employ them but you should have a succession plan in place to counteract that. It could be different position for instance, so you might not have a management role but you could have a consultancy role [to offer them]. “My first piece of advice here, very controversially, would be to look at yourself! “Often, businesses find issues here because they don’t address it straight away, they put their head in the sand – or don’t sweat the small stuff – and it becomes this huge, major problem. Yet the employee may have no idea [there’s a problem]. “If you just have an informal chat straight away with the employee and go through the key points, it could be immediately resolved. We probably wouldn’t exist if employers did this! A big one that we see all the time is people being promoted above their skill set and abilities. For instance, if you have a great sales person you might be tempted to make them a sales manager but the qualities and skills needed for a manager are completely different – they must be able to lead, guide a team etc. “Don’t offer that person more money! Every study ever has shown that money is not a motivator, it is a basic need. Sales is slightly different because they’re being motivated by money but, normally, people are motivated by social factors. “Once they have already accepted a job for more money, they’ve already made their mind up. If they stay its short-term gain for long term pain. “It doesn’t matter if you’re a good leader if you help other people in your team be good leaders. “You have to be good at delegating and compensating for those areas where you need help. Concentrate on your strengths and let go of the rubbishy bits that you feel like you need to take control of because your start-up is your baby. “Be human – every time you make a mistake you learn a lesson. If you can admit that you have made a mistake, then other people in your team can more readily admit to making a mistake. Company values are essential: “Our first four values that I created when we first started weren’t too bad but we were only three people then. Every year, we’ve reviewed these values and asked the team; ‘Do these resonate with you?’ ‘Do you believe in this?’ Your company values should guide your business. “Often, businesses think that company values are just words and don’t mean anything but it needs to be far more than that, it should be everything you stand for. If you say your business is honest and transparent then this should be evidenced on your site, your social media, your service. “You should enable your staff to have responsibilities and you should create a no-blame culture. “It’s about knowing who you are – are you a Donald Trump or a Justin Trudeau? Do you micro-manage and blame others or do you see yourself as a facilitator, a communicator? “What are the employee benefits or approaches that are most likely to ensure your employees feel valued, trusted and rewarded? This is what you should consider. “Employee benefits can’t be a gimmick; we see so many gimmicks like ‘smiley face tick boxes’ that don’t show a desire to value and reward employees. “It should be about time spent together; not a plan, programme, or schedule. These things can be completely free and don’t have to cost an arm or a leg. “You focus should be on communication, honesty, and valuing everyone. For example, I recently spent an entire weekend making felt hearts – ‘heart felt thanks’ – for each member of staff because I really did value the contributions and my time was worth it. “I’ve also written personal cards when someone’s achieved something or worked outside their comfort zone, and I’ve baked cakes. Hold a huddle: We do this. The staff come in with their kids, we eat a lot of food – made by the staff – and have some great conversation. Get a karaoke and go do karaoke at someone’s home. Help a local charity. That’s important for us as we recently helped out and raised over £700 for Leeds Children’s Infirmary Heart Ward by baking lots of cakes and selling them to all of companies on our estate. For us, it’s integral that you balance profit and purpose and help the wider community. Group activity days. We have done afternoon tea and other activities – you can find cheap and easy activities if you know where to look.